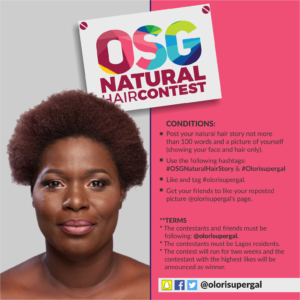 Hello people, OloriSuperGal (OSG) is organizing a Natural Hair Contest. Awesome right? Oh yeah, we know. Do you wear a natural hair or do you know anyone who does? This is a perfect opportunity for you to win big. 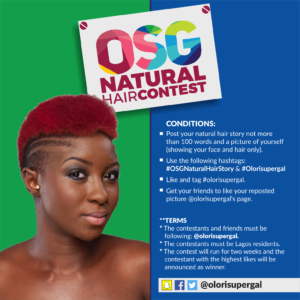 Be a part of the OSG Natural Hair Contest and you will be glad you did. The natural hair journey can be long and daunting based on appearance, maintenance and styling. The natural hair is no longer a trend but a movement globally and we at Olorisupergal recognize the naturalistas in Nigeria. We are proud of women who keep their natural hair. 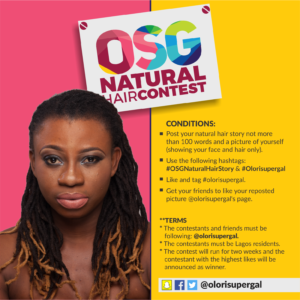 We at Olorisupergal want to encourage naturalistas out there with the hope to inspire them. 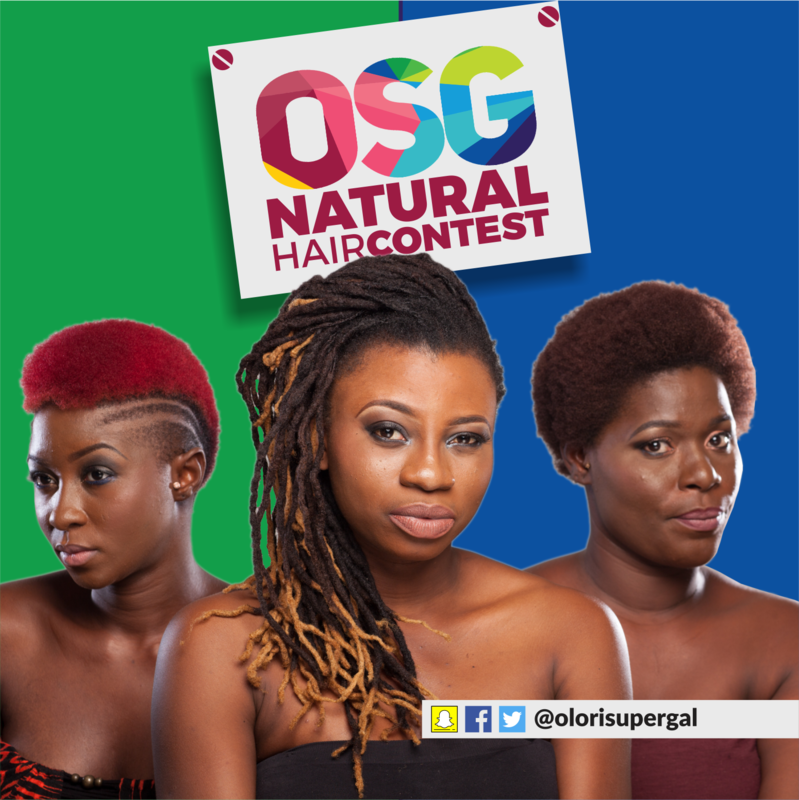 The OSG Natural Hair Story is centered around touching stories of natural hair growth and transitioning. We believe this contest would increase the awareness and awesomeness in Natural Hair and bring back the existence of Natural hair in community. We would be receiving submissions starting from July 22nd and it ends July 28th. Voting starts July 29th and it ends August 4th by 8pm. The winner with the most liked picture will be announced immediately on the page. 3. The Contest will run for 2 Weeks and the contestants with the highest Likes will be announced winner.